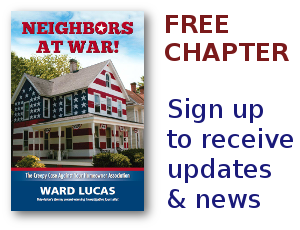 cases of embezzling HOA officers Archives - Neighbors at War! I honestly love it when I can mention the name of somebody actually sent to prison for embezzling from a Homeowners Association. While I strongly suspect that embezzling is endemic, hitting almost every HOA everywhere, most embezzlements are never discovered. The structure of Homeowner Associations (UCIOA contracts) almost urges embezzling by HOA officers. And they do. People who seek office in unpaid positions, are mostly there for a reason. They’re either ego-driven, or short-term do-gooders and reformers, or they’re looking for a chance at personal gain. Personal gain means, in most cases, embezzling. I may be criticized for my cynicism, but you don’t become a cynic without good reason.